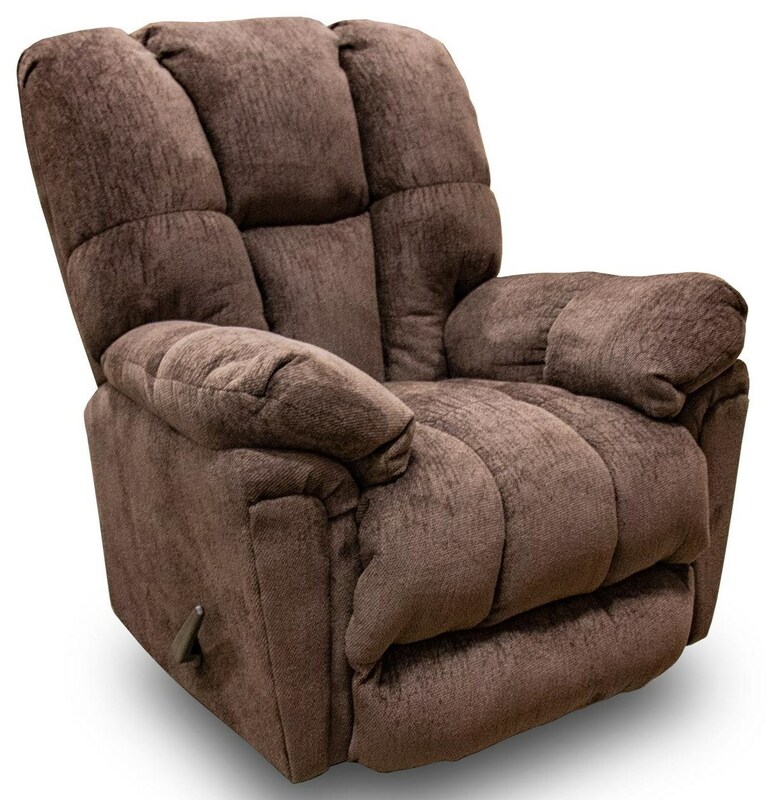 This overstuffed recliner is the perfect spot to unwind with a favorite TV show, video game, or post-work nap. You'll love the tall back design and full-support legrest, but the sink-in plush seat cushion and comfy pillow arms can easily be enjoyed by everyone in the family. The 6M57 Lucas Walnut Rocker Recliner by Best Home Furnishings at Great American Home Store in the Memphis, TN, Southaven, MS area. Product availability may vary. Contact us for the most current availability on this product. The 6M57 collection is a great option if you are looking for furniture in the Memphis, TN, Southaven, MS area. Browse other items in the 6M57 collection from Great American Home Store in the Memphis, TN, Southaven, MS area.